3) Next I hit debug to run the code and Pycharm indicates that its running the first alphetically named spider in the same directory. 4) This seems to be something with how Pycharm 3.0 is working as I had done lots of development on other spiders (using PyCharm 2.X) and was able to write and debug each one individually before. but that exhibits the same type of behavior now as well. 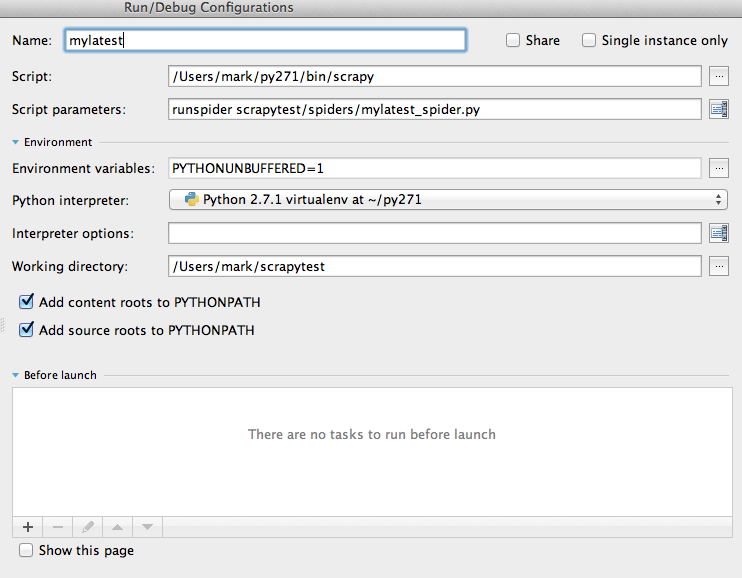 Anyone using PyCharm to do their Scrapy spider development? If so can you share how you set up your configuration to be able to debug each spider individually?